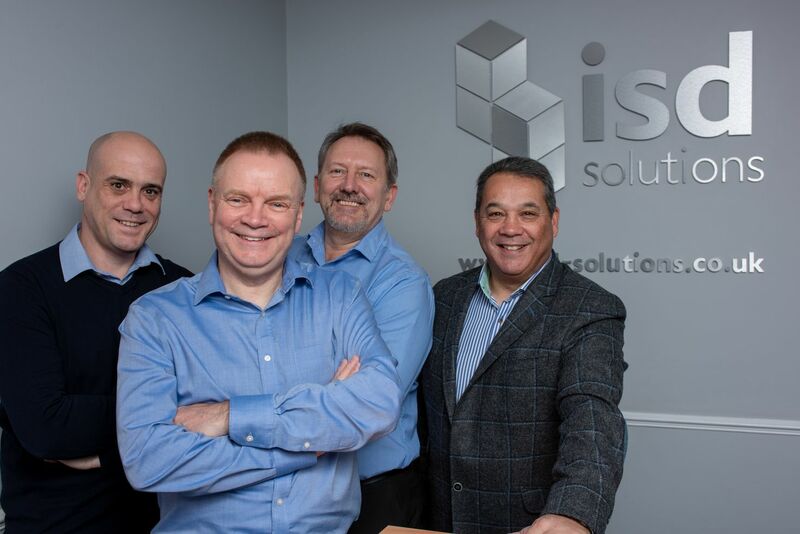 Third generation cold store, firewall, cladding and single envelope specialist ISD Solutions, a trading division of The P&M Group Ltd, has announced a senior management reshuffle due to a change in role for company CEO Andy Moon. The Gloucester-based firm, which employs over 100 staff and trades across the UK and internationally, is reorganising its leadership in anticipation of further growth over the coming years. Moon, whose grandfather Edgar Moon founded the company in 1946, will become Chairman of The P&M Group Ltd. Moon will also continue to play an active role in areas of particular interest, including training, raising standards and further increasing the company’s environmental credentials. Wall will continue his current commercial role in terms of group sales activity but will increasingly focus on business development. Smith will use his considerable technical knowledge of composite-related panel technology, design, installation and fire protection to further improve ISD Solutions’ technical offering. The boardroom changes come into effect to coincide with the company’s new financial year on February 1st. Moon, who turns 61 in April said: “With exciting times ahead this is definitely not retirement. However, I will greatly reduce the operational things I do and, at the same time, it is an opportunity to refine the structure of the company. “Tony and Adrian have collectively been with the business for almost 60 years. Between them, they have an unrivalled knowledge of our industry and our particular niche specialisms and I am confident that, under our joint leadership and an appetite for quality composite solutions grows, we can develop ISD and The P&M Group even further.